Passengers looking for transportation at Jacksonville International Airport can find their ride along the way once they leave their plane. Jacksonville is one of the biggest cities in Florida as well as one of the friendliest. This can especially be seen within the city’s popular airport, which happens to be one of the most beloved in the country. Sit back and relax while you wait for your flight or a friend to pick you up, whether it be through an impactful massage or a treat in the form of a local delicacy. Located 13 miles east of downtown, Jackson International Airport is located on spacious grounds that makes parking a cinch. 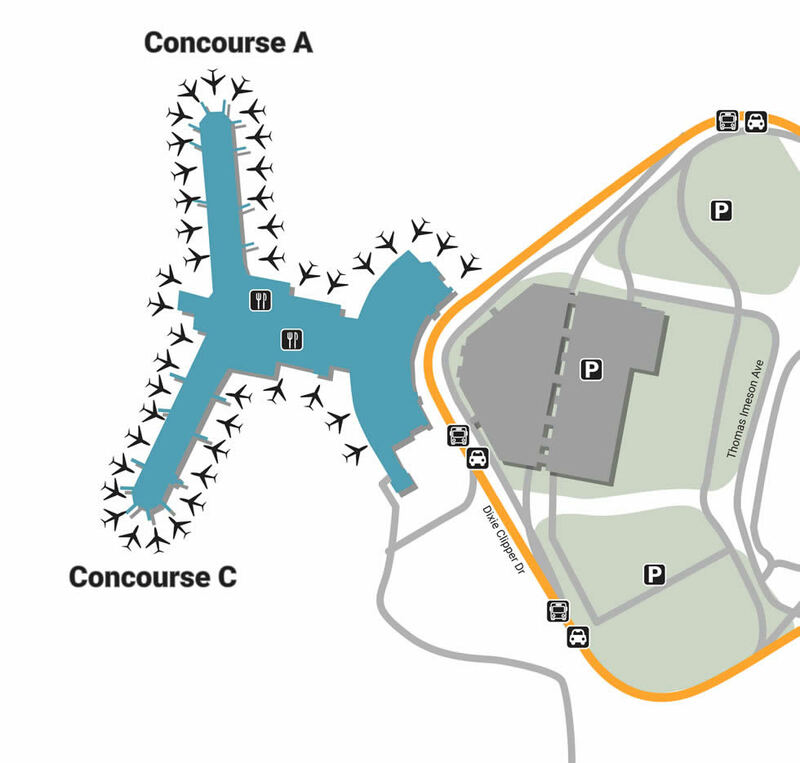 The hourly garage is located across from the main terminal, and the daily garage is right behind that. Long-term travelers should utilize the Daily Surface Lot for low rates and a short walking distance. For an even better deal that comes with complimentary shuttle rides that run 24-hours a day, utilize either Economy Lot 1 or 2. Go the easiest route by dropping your vehicle off at Valet near curbside, Departure Level. JAX Airport has an exemplary track record in terms of customer service, typically ranking in Airports Council International’s Top 5 Annual List. The facility also updates passengers with news through Twitter, Facebook, and a Flight Tracking App. For businessmen in need of an in-and-out meeting, the airport is home to a state-of-the-art conference room that comes with full-service catering. The facility is also home to an Arts Program that focuses on connecting the world through a calming creativity. If you’re in need of general information. Fill your time with something head-turning, whether it’s the perfect accents from Benefit Cosmetics, located near Concourse A, or some noise-cancelling earbuds from the Best Buy Kiosk located in the same area. Pick up all your necessities from the River City Travel Mart, located in pre-security & Concourse C. Lovers of country clubs should stop by the PGA Tour Shop before passing through security, a shop with the latest in golf fashion, accessories, and gifts. Eat while you wait by picking up some food at one of the many eateries located across the airport, from the char-grilled dishes at Concourse C’s Budweiser Track & Grill to the soft-serve ice cream at Freshens Smoothies next-door. Fuel Jacksonville’s heart by choosing local ingredients from places like Shula’s Bar & Grill (Concourse A) or Sam Snead’s (Pre-Security. If you’re more in the mood for an upscale breakfast or lunch, try out the gourmet grub at Ciao Gourmet Market, located in Concourse A.